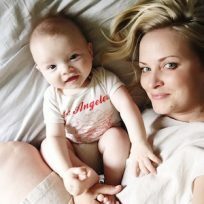 I have my own experience with a couple of baby wearing options that I wanted to share, as well as recommendations from friends and readers. If you’re new to baby wearing or are looking for different options to try, this post is for you. Soft structured baby carriers use straps and a waist band to distribute baby’s weight evenly, making them a comfortable option, especially for bigger babies and toddlers. My favorite was the Ergobaby, although the one drawback for me was that baby couldn’t be worn on your chest facing forward (which mine totally wanted to do). But now they have a brand new 360 Four Position Baby Carrier that allows baby to be on your chest, both forward and rear facing, worn on your back, or worn on your hip. This is also a favorite way for dads to get in on the baby wearing! Baby wraps are made up of one long piece of fabric that literally wraps around you to create a comfortable sling for baby. You can wear wraps a variety of different ways, and these can be great for the newborn and smaller baby days. There are a variety of brands to choose from, as pictured above (top to bottom: Happy Baby Wrap, Moby Wrap, Baby K’Tan, Solly Baby). My only firsthand experience is with the Moby, which I had mixed feelings about. I loved the idea of the wrap and really liked wearing my baby this way in the first three to four months, but the fabric was way too long, made me (and baby) really hot when I was wearing it, and was complicated to take on and off. However, I know some people that have had great things to say about all of the brands above, and I have seen and felt both the Solly Wrap and Happy Baby Wrap and think there is less material than the Moby and the fabric seems more breathable, so they both seem like they might be easier to use and cooler to wear. Slings can either be made of a band of fabric (like a pouch sling) or a long piece of fabric looped by a large ring (a ring sling). I have loved using a sling with baby number three. I have the sling from Wildbird but two others that I’ve heard recommended are the Sakura Bloom (which I think looks beautiful) and the Peanut Shell. There are other types of carriers for larger babies and children, like backpack carriers, but since you can’t use those in the early baby days I didn’t include them in this post. Did you wear your baby or do you plan to? 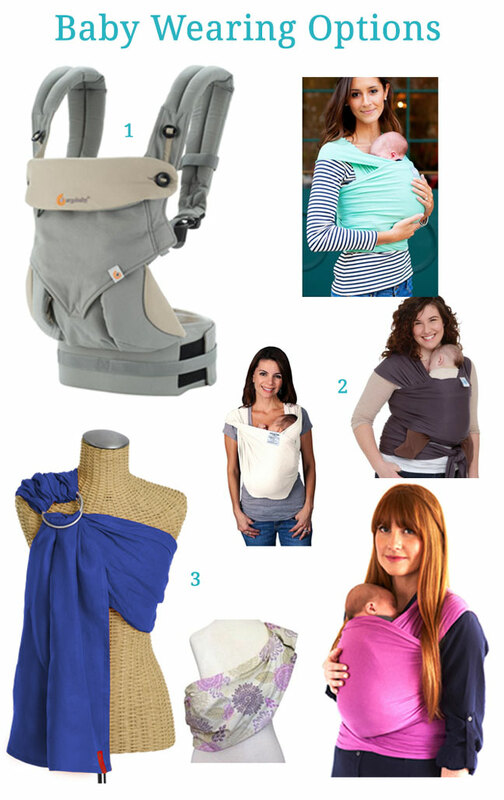 What is your favorite carrier or way to wear baby? Cloth Diapering 101: Which Diapers Should I Choose?